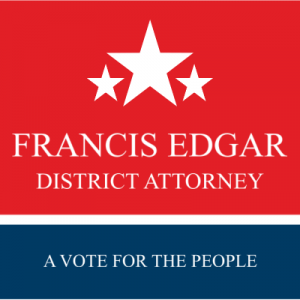 Red and Blue Francis Edgar, District Attorney site sign with stars. Available in three size options. Fully customizable using our online design tool.